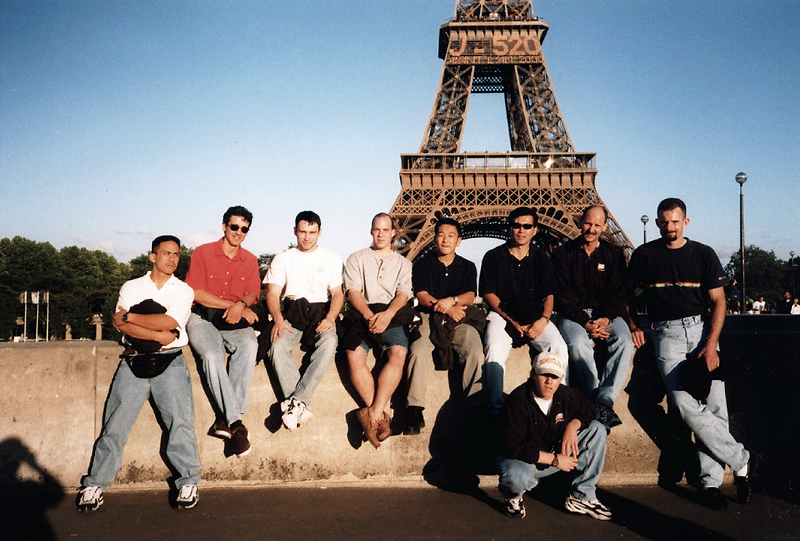 US Team in Paris, 1998. Standing from left: Ricky (Hawaii), Mark Tarrant (Mtn. States), Lane Nevils (Southern), Justin Nepo (East Coast), Hiro Okazaki (East Coast), Yasuaki Nagatomo (Mtn.States), Danny Guidry (Southern), Shawn Sample (Western), squating, unknown youth from Southern region.